Enjoy the natural beauty and great attractions in Nevada with an affordable Grand Destination Vacation Club timeshare resale or rental. SellMyTimeshareNow.com offers a great selection of inventory priced up to 70% off what the resort developer would charge! What’s My Grand Destination Vacation Club Oasis Resort Timeshare Worth? 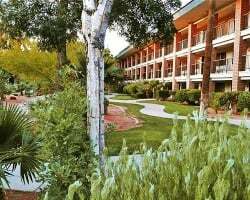 Discover the charming town of Mesquite with a cozy timeshare resale or rental at Grand Destination Vacation Club at the Oasis Resort. Here, you will enjoy simple living while being in close proximity to the area's best attractions. On-site you'll relish in mountain views and a swimming pool and hot tub to relax in. Not far off you'll find great hiking and biking trails, restaurants, shops, and more. Las Vegas, the Grand Canyon, and the Red Rocks are perfect for a fun family day trip! Vacation comfortably in a studio, one-, or two-bedroom suite. 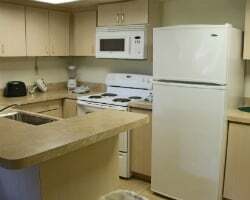 Units feature a partial or full kitchen, comfortable bedding, cable TVs, and full bathrooms. Some units also offer a private balcony for taking in the surrounding mountain views. Whether you want a cozy romantic retreat or have the whole family in tow, you'll find the perfect accommodations to suit your vacationing wants and needs. Start planning your getaway to Grand Destination Vacation Club at the Oasis Resort today! Fill out the form on the right or give us a call at 1-877-815-4227 and one of our knowledgeable specialists will assist you in find your ideal resale or rental. 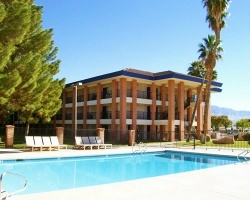 Travel to Mesquite, Nevada every year for a price you can afford with a Grand Destination Vacation Club at the Oasis Resort timeshare resale! On the secondary market, you'll find a great selection of by-owner advertised units at prices that reflect each timeshare's market value. Whereas when you buy directly from the resort, you end up paying a huge sales commission, taxes, and hidden fees that significantly drive up the cost. When you buy resale you can save as much as 70% off the developer price and enjoy all the same ownership benefits! Our resale inventory of Grand Destination Vacation Club Oasis Resort timeshares features deeded floating weeks with annual and biennial usage, many within the popular Red season of ownership. With floating weeks, you are able to reserve a different week each time within your ownership season. This gives you options and flexibility to change when you travel to ensure you can always fit in a vacation. Grand Destination Vacation Club timeshare owners can enjoy affordable external exchange options through the resort's affiliation with RCI. As the industry leader in external exchange, RCI features a vast portfolio of thousands of affiliated resort properties located in top destinations throughout the world. RCI prides itself in only affiliating with the best and most high-quality resorts to ensure members have an incredible vacation every time. Grand Destination Vacation Club Oasis Resort can enjoy exchange privileges by purchasing an annual RCI membership and depositing their timeshare week for a trip to any of the thousands of vacation ownership resorts within RCI's portfolio of properties. Take a step back and enjoy the mountain views and stunning scenery that surrounds Grand Destination Vacation Club. These beautifully maintained grounds are perfect for a relaxing getaway with family and friends. Enjoy on-site amenities such as a swimming pool, hot tub, and a concierge service to help you book local activities and excursions. 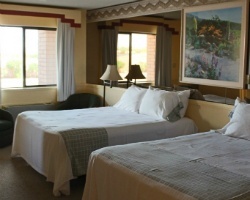 Mesquite, Nevada is a great destination that is close to a lot of great attractions while being far enough removed from the hustle and bustle to provide you with a fun but secluded retreat. Nearby you can visit the Grand Canyon, Virgin River Valley, Las Vegas, Zion, Bryce, Valley of Fire State Park, the Red Rocks, and more. These are all perfect day trips to round out your vacation experience. Mesquite has a charming small-town feel with great hospitality, shops, restaurants, and trails for hiking and biking. Already Own at Grand Destination Vacation Club at the Oasis Resort?